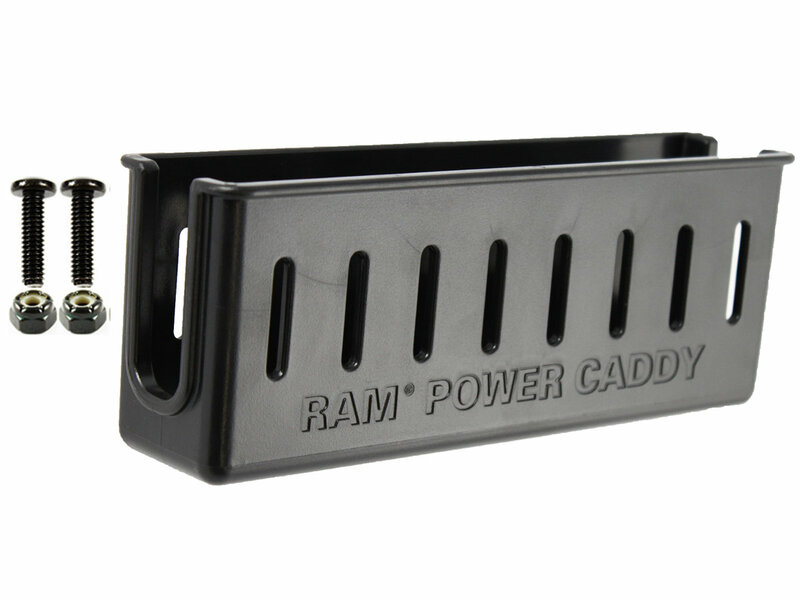 This RAM Power Caddy™ allows for power supply storage to be contained alongside your laptop. Keep your laptop charged and also run additional peripherals like printers, fax machines, etc. all with your own factory supplied power supply or combinations of most aftermarket AC inverters, DC power supplies and or AC/DC power adapters.